One of the most popular cities in the Hungary not only amongst local people, but also foreign visitors, Pécs is located in the south of Hungary close to the Croatian boarder. With close to 160.000 inhabitants, the city’s vibe is coined/given distinction by a rich cultural heritage, Hungarian and foreign student life, and many hard-working locals, who are dedicated to their city and contribute to a strong alternative in culture. One of them is Hajnal Szolga, who is originally from Debrecen, and obtained her M.A. in Philosophy and in Communication and Media Sciences at the University in Pécs. 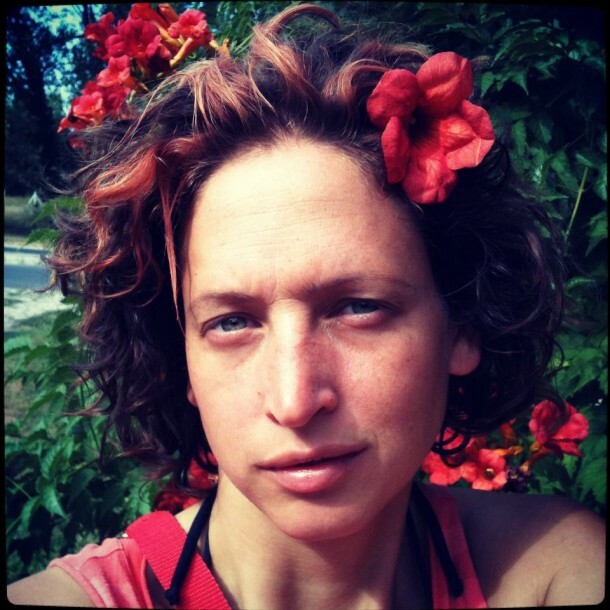 In 2004 she co-founded SosemArt Association, a non-profit cultural organisation based in Pécs, which provides management for artists, operates as a publisher, and an event organiser. 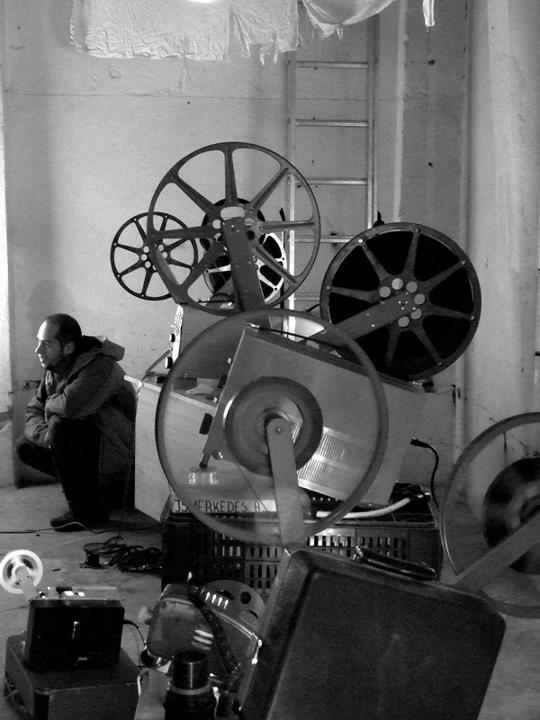 Once in every year, they realize an international media art festival titled SYNOPTIC. 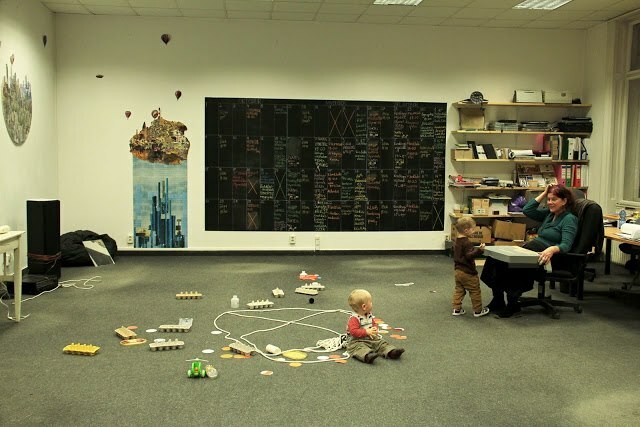 In August 2012 when looking for a new office space for SosemArt, Hajnal and her combatants found and founded “A KLUB” to develop a space for creativity and open community lifestyle. Now, the space as well as its equipment is available for people, who would like to organize something but lacking the facilities. Currently, programs such as physical trainings, art therapy and handcraft workshops are taking place, with a shop selling young creators’ recycling objects and local products. Why are you working in the cultural sector? Why? I don’t really know. It was somehow inevitable. I studied many useful sciences like Philosophy, Aesthetics, Cultural Anthropology, Communication and Media Science, but I have always been driven towards art. I feel free not just because I am a freelancer, but I am sort of flowing in creation. For me, creation also means being a curator for an exhibition or a festival program, writing, publishing or working in a community. Otherwise, I can’t do anything else. Usually I use the wintertime for project planning and fundraising. It’s a period for intellectual retreat. Currently, I am working on the concept of our yearly festival SYNOPTIC 2013, which will be held during the autumn. We joined a worldwide video art festival called “100×100=900 – 100 video artists to tell a century”, where we will be the Hungarian partner to stage a huge travelling video selection. 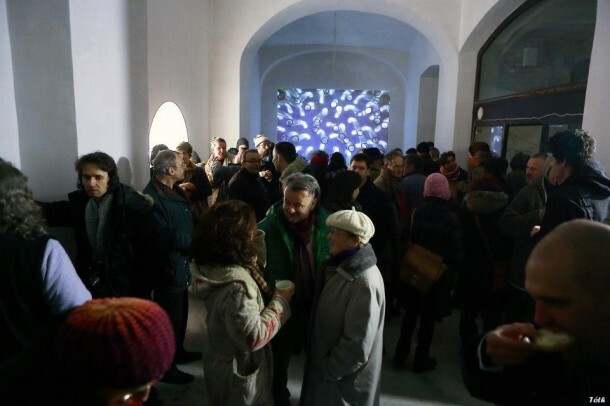 We are also partners of many on-going projects in cities abroad such as Brno, Prague, Kosice, Barcelona and Berlin, by contributing to bring artists or exhibitions there. And of course there are many pending applications for artist residency program, EVS (European Voluntary Service) and so forth. During this “uncluttered” preparation time we do small social local activities, like community garden and “kunstvermittlung” (art education) in kindergarten and elementary school. You finished your studies in Pécs, worked abroad and in Budapest, but you always remained based in Pécs. What makes this city a good work environment? Pécs is an ideal place for living. It is more difficult to find work, especially in the field of culture and contemporary art. The bad thing is that there is just a marginal scene for those who are really interested, but the good point are the many opportunities which are yet untapped in the city. Of course the distance from Budapest needs persistence in order to stay up to date in the art life. I can’t be there personally all the time, so inform myself on other platforms as well. Actually I try to commute between Pécs and Budapest, and also abroad, which can be sweaty sometimes, but also thrilling at the same time. How would you describe the conditions for cultural workers in Pécs, or Hungary in general? Distressing. The economical crisis twisted into the culture of course and in Hungary the political situation is especially worrying right now. I try not to agonize (not easy) and I would advise everybody to apply for EU grants, to do projects with international partners, to try staying independent from national government, while processing and reacting to the political facts through a critical artistic approach. I am desperately observing the phenomena of migration, every second or third friend of mine moves to England, Germany or Austria. Personally, I see three paths to choose: starting a new life abroad; being employed in Hungary or totally underpaid; or trying to be a freelancer or entrepreneur at your own risk. All are uphill battles. In my opinion, career is an artificially urged idea of need. I need creative freedom and a safe and laid back everyday existence. The projects you are involved in Pécs are often realized in collaboration with other partners from Hungary and abroad. Why are these exchanges important for your work? There are two basic reasons. On one hand we all need new impulses, professional knowledge and experience, which is guaranteed in a collaboration with Hungarian or foreign partners. On the other hand, as I referred above, as there is almost no national funding in Hungary, we can only apply only for EU grants, so it is smart to cooperate. What type of partners from Pécs are you working together with? It depends on the project. I used to organize exhibitions and events in public places or in vacated buildings, so it is inevitable to cooperate with the city council regarding permissions. In the last few years we were working together with the Lenau House, because artistic and cultural exchange between Hungary and Germany is our common interest. Usually we are also working together with the Art Faculty and HRM Faculty of the University of Pécs. We are glad to involve young students in our projects or events. There are many NGOs in Pécs, with whom we cooperate from time to time (Közelítés, LABOR, Ökográf etc). We are regularly working together with the Volunteer Center of Pécs, not just project based but continuously, because they mediate and place young and senior citizens to help out and support us. Of course many private persons, artists, cultural workers help us in general. The difficulties lay mainly in the third sector beside the government and non-profit sectors. The economic sector is a very weak link in the chain. As long as contractors and enterprises do not invest in culture and art, the pearl necklace is falling into pieces. Most of your projects are directly connected to the local community. Why is this approach important for you? With the projects I initiate, I try to elaborate social problems either on a local or a global level. The earlier programs promoted criticism of the media, consumer society, visual mush, and mass of information. In the last few years I focused more on environmental problems, urban and natural aspects of society. Through these topics I feel a lot closer to the people. And I believe, people in general feel better, if their direct environment is tidied but biotic at the same time. Unfortunately our life, direct and indirect environment, is artificial, expanded and we try to escape from the society or we became isolated from each other and from ourselves unnoticed. To find the right way I am sure we shall turn back to nature and to ourselves, to the community, especially to local, personal and small communities. What kind of platform and space is “A KLUB”? A KLUB is an experiment. It’s not just about art and culture. The most important aim is to bring people together, to build a community in the background. The place itself is working smoothly. Actually our weekly program is full and there are many visitors. We are open for just six months and we have to be patient. We try to build up A KLUB’s membership by collecting and measuring the interest, knowledge and competence of the members and by relaying these to each other. It would be a free exchange, based on knowledge and personal not virtual, of course. The other important aim is to establish a database of the three sectors (NGO, Government, Enterprises), first in the local region, later countrywide and then generating communication between them. This background process is a meticulous collection and research job. We employ young people for this complex work, as I recognized they are grateful for working in a friendly team for a good purpose. You are also active as a photographer. How can you reconcile all these diverse activities? Photography is my own private world, my remote shelter. When I withdraw alone to the nature; when I am laying low in a city taking photos or when I lock myself up in the dark room developing photos, I turn myself off. It’s more about the process and the feeling than the product. It is like what is meditation or yoga for other people. Best exhibition you have seen in 2013, so far? Maybe I am too critical, but I haven’t seen any good exhibition this year. Best exhibition you have ever visited? I remember having a great experience at Hamburger Bahnhof in Berlin. Actually under the common title “Cult of the Artist” there were three exhibitions in the same place at the same time: “I can’t just slice off an ear every day”, “Beuys. We are the Revolution”, and “Celebrities. Andy Warhol and the Stars”. Which person from the art or cultural world would you like to meet for a dinner? I like the authentic roadside Hungarian restaurants. I am fan of Spike Jonze. That’s also always different, for now Samuel Beckett’s Three Novels: Molloy, Malone Dies, and The Unnamable.